When you name a color after an object . . . . 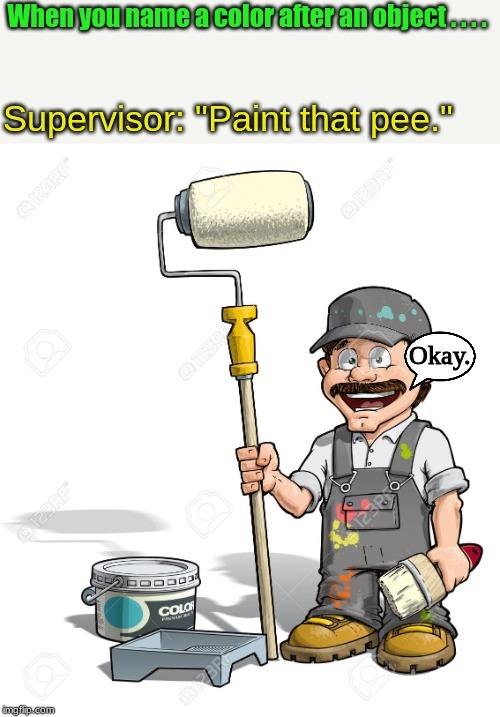 Supervisor: "Paint that pee. "; Okay.